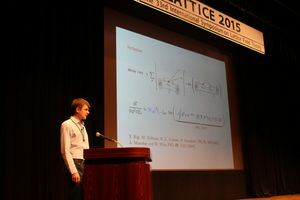 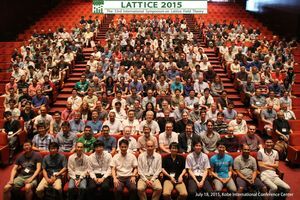 The 33rd International Symposium on Lattice Field Theory (Lattice 2015) was held at Kobe International Conference Center for July 14-18, 2015, sponsored by KMI and other institutions. 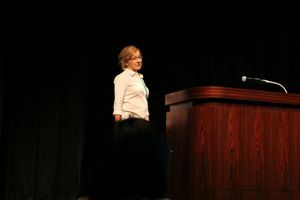 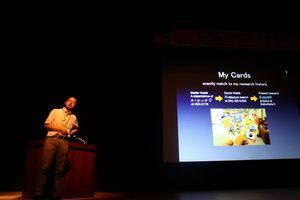 This series of the conference is held annually with the first taken place in 1984 and this time is 33rd or 3rd of the ones held in Japan (9th and 21st in Tsukuba). 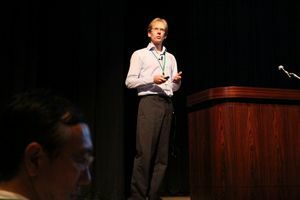 The participants count 376 from 26 countries and regions with 109 from domestic. 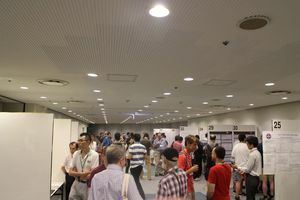 During the five days, 18 plenary talks, 290 prallel talks and 41 poster presentarions were given and the latest results were presented. 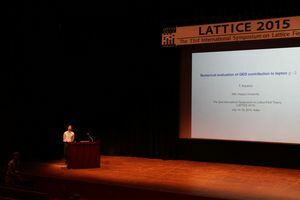 The conference was successfully concluded after exhausting the program as scheduled without suffering from the typhoon 11 which passed through the area on 17th.